Since 1863, several additions and alterations have been made to the chapel. By 1887, a sacristy had been added to the sanctuary. In 1906, to celebrate the golden jubilee of Seton Hall College, major renovations took place. An arched passageway linking the chapel to the Seminary (Presidents Hall) was constructed, the belfry was removed and a new entrance cut beneath it, the old entry on the side facing Bayley Hall was closed and replaced with a chapel dedicated to the Sacred Heart. These changes were dictated by necessity. A sacristy was essential for the efficient use of the Chapel, as was a passageway to the Seminary. The bell tower had weakened, requiring its removal. The new entry enhanced the Chapel's focus on the growing campus. All of these changes were made in conformity with the original design and respected the integrity of the building, conforming to both style and materials. At their completion, the chapel took on its present form. In fact, most today are not aware that the Chapel has been altered in any way from its original design. 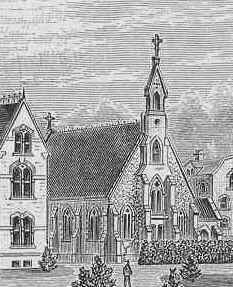 The Chapel before the 1906 renovation. This picture is from a postcard. You can see the cancellation marks. The Chapel after the 1906 renovations. The sandstone used to build the chapel was not of the highest quality. A comparison with the stone used in Presidents Hall makes that very clear. 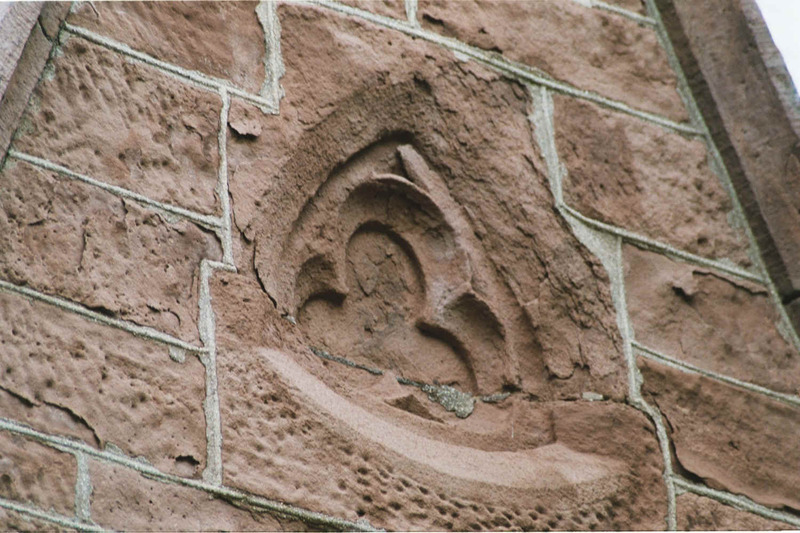 Presidents Hall is constructed of finely cut ashlars, all of which are properly laid in the cross-bedded manner so that the layers of sandstone will not gradually erode and slide away, a process called "spalling". The builders of the chapel, on the other hand, used random sized stones of varying quality and laid them base-bedded, which allowed the layers of sandstone to spall. Spalling is evident in these pictures of plain and carved stones. As the spalling became noticeable, some of the stones were repaired with a coating of mortar. 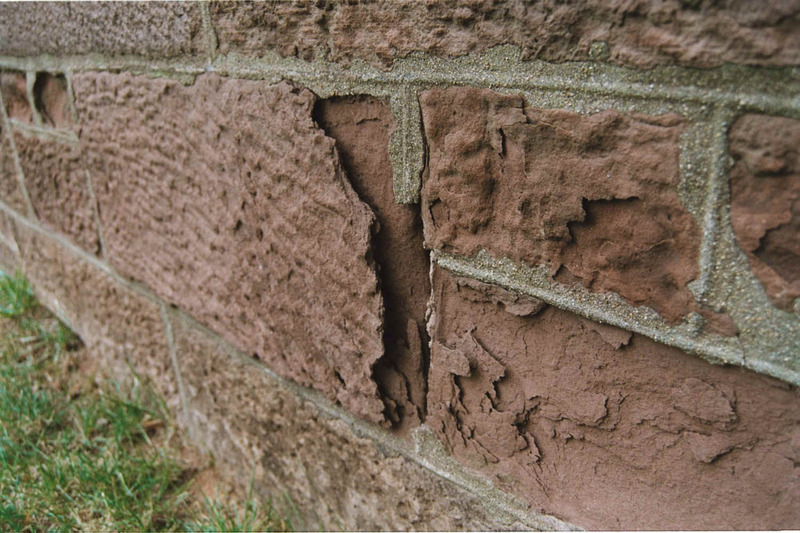 While this may have improved the appearance, it also trapped moisture that increased the deterioration of the stone. Similarly, as the mortar between the stones loosened and fell out, it was replaced with a type of mortar that also trapped moisture. As a result of lack of maintenance and well-intentioned but ultimately deleterious repairs over almost a century and a half, the structure of the chapel was in a very precarious situation. How precarious we did not discover until repairs began.